Work meals can be expensive, whether you are buying them or making them at home. And that’s not even taking into consider the extras like coffee and water, or that 3pm sugar fix that so many of us crave after a long day at work. In the past I have been lucky with being able to cut costs on work meals drastically. My last place of employment before becoming self-employed actually provides lunch for the staff. Kind of necessary though since it was a prison and trust me, going in and out of prison security can chew up half your lunch break… which is made even worse when the prison is located in the middle of no where. Good times. So while work lunches have never been a huge expense for me, my husband works night shift so work lunches (dinners) are a must, with nothing much available for purchase that late at night. As such, we have become experts to cut costs on work meals for my husband. And the great thing is, many of these tips work for school lunches too. 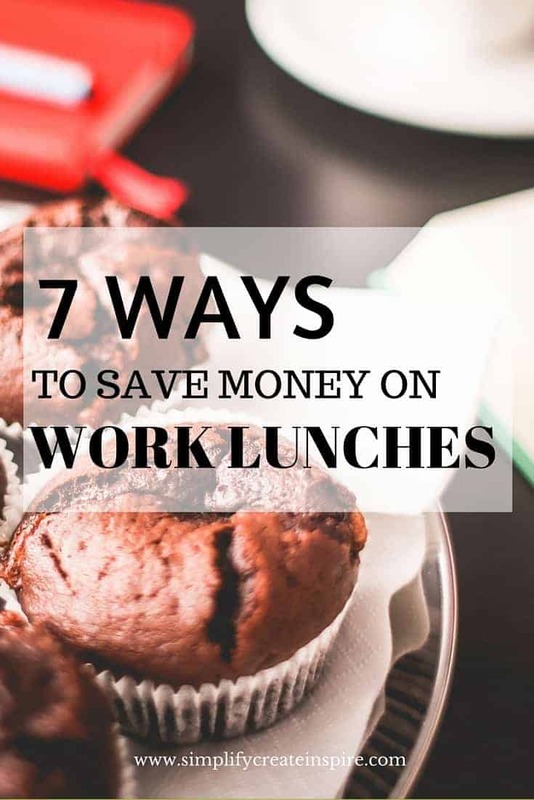 One of the fastest ways to increase your work meal costs is to buy your lunches every day. Purchasing lunch, whether it be from a cafe, a food truck or the on site cafeteria, will almost always cost more than taking a pre-made lunch from home. Instead of wrapping your pre-made work lunch in cling wrap or a brown paper bag, use containers to keep your food sealed and fresh for transit. This means you can reuse your container over and over again instead of having daily waste of packaging. You food will likely arrive fresher anyway – there’s less chance of it getting squashed in a container! Like above, reusable is better than disposable. Instead of buying bottled water each day, invest in a good quality water bottle that you can reuse by refilling with cold water. If your work does not have a water cooler, keep your water bottle in the fridge. Easy done, and that’s saving you about $10 a week just by not buying bottled water each day. Another reusable option is to have your own travel coffee mug or even just keep a cup at the office if your office doesn’t supply it and make your own coffee. Far cheaper than buying coffee every day. Although I get it… sometimes a gourmet coffee is a nice treat. Sometimes is fine! Freezer cooking or bulk cooking in general can create extra lunches and dinners and cut costs by cooking all in one large batch. This is a great way to be prepared in advance, while you also save money on work meals. Meal planning is also a great option to keep organised on what to make ahead of time so you can keep your spending in check. If you still want the luxury of eating a fresh range of food at work without the big price tag, consider starting a lunch club with some colleagues. Each of you brings an item or two towards a planned lunch and it means you all get to have a great lunch, while spending only a fraction of the cost. For example, salad sandwiches mean one person gets bread, someone else brings lettuce, etc so the whole meal is covered, with enough to go around for everyone. Just don’t let the team down! Oh yep, I know what you’re thinking… how is a naughty snack drawer helping me save money. Well if you can get through the day minus the guilty snacks, you are doing great so ignore this point, but if you find yourself at the vending machine throwing away $5 for a $2 chocolate bar every afternoon, it’s time for a cheaper alternative. Buy your snacks when they are on sale at the grocery store and keep an emergency stash in your drawer. Best if you are filling your snack drawer with healthy snacks though, but anything that keeps you from wasting money on overpriced snacks is a saving. Do you have any other suggestions to save money on work meals? I do a lot of bulk cooking and plan packed lunches in the same way I do dinners. Leftovers make a great lunch the day after! I’m at home now, but when I go back to work, I hope I can get my colleagues on board with a lunch club – what a fantastic idea! The lunch club at my old work was great. Fresh, yummy lunches every day but a fraction of the costs! A girlfriend of mine has started a big batch cooking club. It is so cost effective and gets you mixing up your taste buds. I am so glad I don’t work in the city anymore, that’s when I used to spend a bucket load on food! Now, working from home, my lunches mainly consist of leftovers. As I type, I’m enjoying leftover mushroom risotto with baby spinach. Yum! Same! Lunch here was shredded chicken tacos. It was meant to be last nights dinner but made a pretty amazing lunch.